Heartfelt is the word I'd use to describe the latest novel from New Zealander Sarah-Kate Lynch. She always sets her books in interesting places and this time she takes us to India and all the colour and confusion of the city of Mumbai. 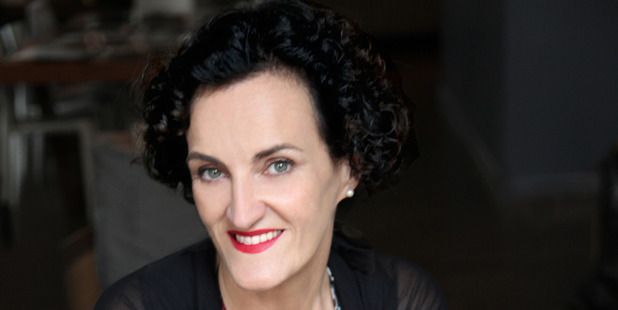 Annie Jordan is a middle-aged woman who is going through a tough time. She has lost her mother and her dog, her kids have left home and her husband barely seems to notice her. So when he offers to take her with him on a business trip to Mumbai she thinks, why not? India is daunting and Annie struggles at first. Then she is taken to a laughing yoga class on Chowpatty beach and finds she rather likes it. With the help of kindly guru Heavenly Hirani she begins to see India and her own life in a whole new light. This is one of Lynch's best. I've never been a devotee of Nick Hornby's more laddish books but this one isn't blokey and I loved it. Funny Girl is the story of the pop culture of the 1960s, when television sitcoms were beginning to make their mark. Barbara Parker is a young pneumatic blonde in the mould of Diana Dors (Google her, kids) who wins a beauty contest but surrenders her crown to follow her dream of becoming a comedienne like her heroine Lucille Ball. She moves to London where she lands a role in a long-running sitcom and shoots to stardom. Hornby has a lot of fun sending up cultural snobs and punctuation pedants as well as touching on more serious subjects, such as the reality of being gay. It's a smooth and entertaining read that captures an era in British television that was more naive and immeasurably more glamorous. If you were only to glance at this novel, you would see that it is almost all dialogue. There is much for a novice novelist, a wannabe bestseller writer, to learn from this: Trollope has an admirable facility for telling her story through conversation, argument and in snatches – this novel, her 18th, would work as radio drama. So far, so Cath Kidston. Or, I kept thinking, this hugely readable novel, with its cosily upmarket feel, would work beautifully as Waitrose’s own-brand fiction – were such a thing to exist. 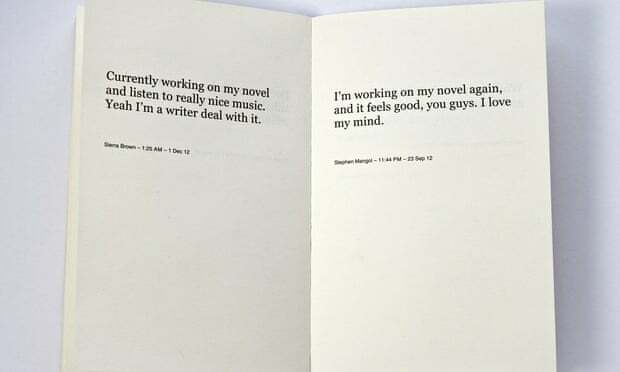 'A mournful echo of the futility of writing': Cory Arcangel's Working On My Novel. Empire Falls is the Pulitzer Prize–winning story of Miles Roby, a lifelong resident of the titular small town, who manages the crumbling Empire Grill and is in the midst of a divorce from his wife, Janine. He has a pot-selling, former alcoholic for a brother, an introverted but incredibly bright teenager for a daughter, and a wealthy family slowly buying out the town as an antagonist. The book flashes between Miles’ present and past, revealing things about his family life, the town’s descent into bankruptcy, and the relationships between people who have never known anyone or anywhere else but this old mill town. I can’t really say much more about it, because the beauty of the book is in its details and last-minute twists, but it’s a phenomenal representation of small-town life, family dynamics, and the decline of the American Dream. 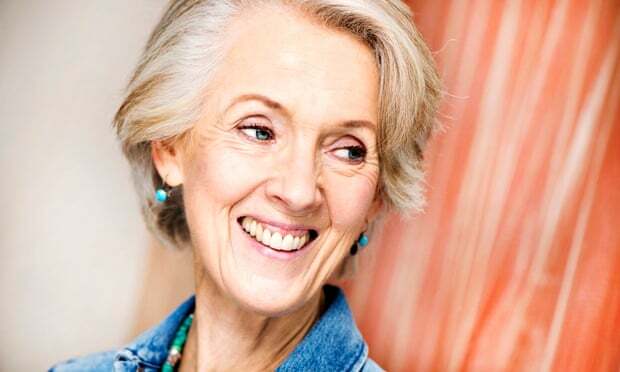 Mākaro Press in Wellington is sad to announce that author and friend Jill Harris passed away on Christmas Day in her 76th year. 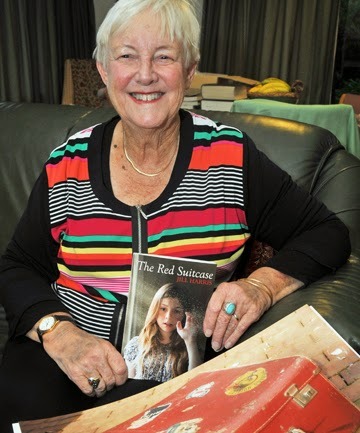 Her novel for young adults The Red Suitcase is an exciting time-slip story with a powerful war theme, which launched on Anzac Day this year. Into its second print run, The Red Suitcase has been well-reviewed, with the ODT reviewer declaring that in this year's rash of war novels you can't get better than TRS, John McIntyre of the Children's Bookshop calling it a 'really, really good read', and an upcoming NZ Books review saying TRS is 'plain-spoken, engrossing and moving'. Mākaro Press is working on Jill's final book: The Ephesus Liturgies, to be published early next year. It is a collection of services for Christians that are based on a contemporary understanding of the world, with a reflective essay by Lloyd Geering, and an introduction by Jill's husband and Ephesus Group founded Ian Harris. 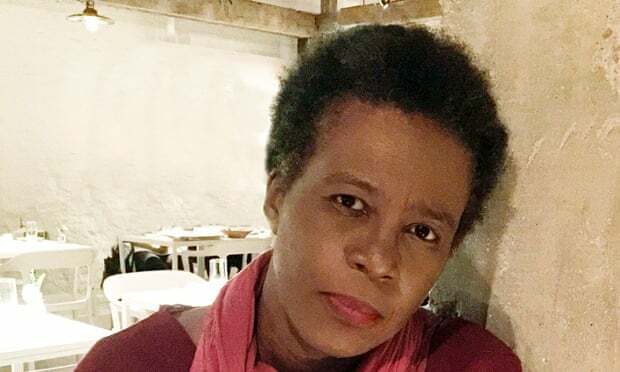 Now her work, which had started as a re-telling of personal experiences of racism, as well as a general view of the country and race, had inadvertently become a companion to one of the most volatile moments in recent US history. 1) Subscription services will make it much harder to sell books. The voracious readers who are most likely to try an indie with a “WTF purchase” will instead tend to borrow instead of buy. This will result in drastic reductions in author take-home pay, all assurances of “increased exposure” aside. A whole group of readers are being conditioned to believe that books have little or no value/should be free/should only be read if virtually free. This will continue. For an idea of where this progression ends, look at music. Musicians can’t earn decent money anymore by having a hit, or even several hits. The economic model is broken in such a way that the artist sees virtually nothing, with the intermediary company that enables the download taking the lion’s share of the revenue. Musicians now earn their livings by touring, by selling merchandise (shirts, hats, etc. ), by selling virtually anything but music. Alas, authors don’t have the option of filling coliseums at $50 a ticket or being cool or mainstream enough to hawk $22 concert T-shirts with their likenesses on them, so expect things to get much harder. Grief is like fear in the way it gnaws the gut. Your mind is on a short tether, turning round and round. You fear to focus on your grief but cannot concentrate on anything else. You look with incredulity at those going about their ordinary lives. There is a gulf between you and them, as if you had been stranded on an island for lepers; indeed, Lewis wonders whether a grieving person should be put in isolation like a leper, to avoid the awkwardness of encounters with the unbereaved, who don’t know what to say and, though they feel goodwill, exhibit something like shame. 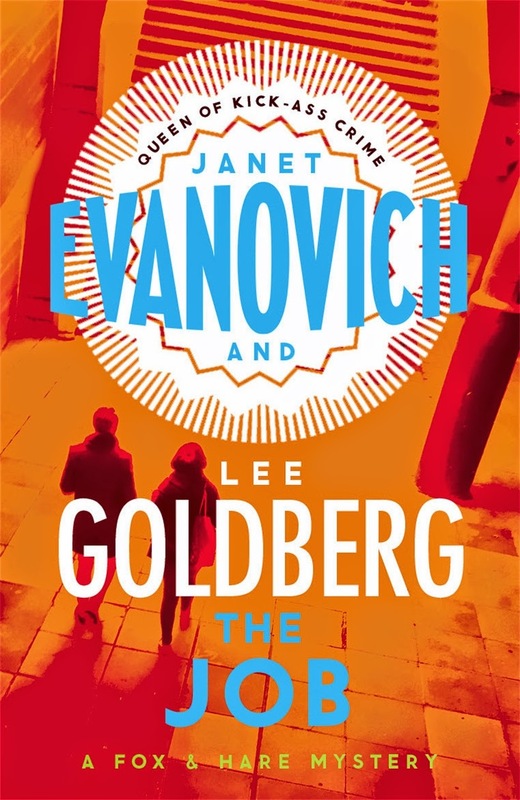 Bestselling books of 2014: did the booksellers get it right? Sian Cain - Wednesday 24 December 2014 - The Guardian s.
In an attempt to monitor the Christmas market, we asked seven leading UK retailers – which included large chains and independents – plus the industry journal the Bookseller to predict the season’s bestsellers, and we’ve been monitoring their predictions through the autumn. One finding is that books seemed relatively immune to theme-day hype: only 47 of the 116 titles that were nominated sold equally or better in the week of Black Friday and Cyber Monday. Previous leaders, such as David Walliams’s Awful Auntie, Donna Tartt’s The Goldfinch and Jamie’s Comfort Food all sold only between 1% and 10% more in Black Friday week compared to a regular week. But there was one overwhelming exception: Guinness World Records 2015 sold 43,000 copies in the week of Black Friday, compared to a weekly average of 16,000 since it was released in September, and the annual Christmas favourite has now sold a total of 310,642. It was second only to the children’s hit Awful Auntie, which, with 481,000 sales, remained the best-selling book out of the predicted titles sent to us by booksellers every single month. 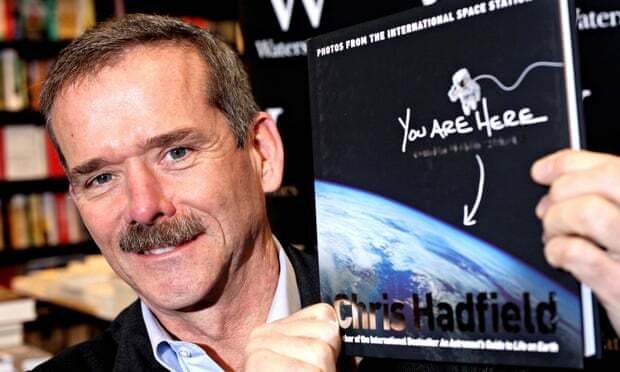 Other good performers this month included the Minecraft Blockopedia, which has sold 38,119 since being published on 4 December, while the internet’s favourite astronaut Chris Hadfield’s December book tour paid off as You Are Here: Around the World in 92 Minutes sold 36,012 (up from 5,493 in November). Book prizes definitely affected Christmas sales: Jessie Burton’s The Miniaturist sold 25,000 copies in December after the debut author was awarded Waterstone’s Book of the Year; it has now sold 66,757 copies (compared to 41,806 between July and November). Richard Flanagan’s Man Booker winner The Narrow Road to the Deep North has sold a healthy 65,692 copies, while Samuel Johnson prize winner H is For Hawk doubled its sales in a month, up to 49,653 from 26,645 in November. 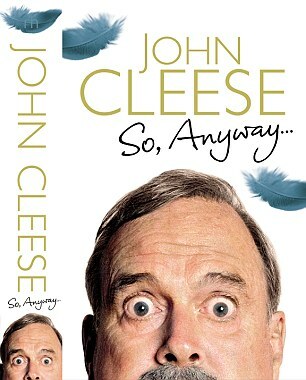 TV also affected buying choices: the two Pointless books have performed consistently well, with one doubling its weekly sales average from 2,275 to 4,693. Once Attenborough’s tie-in documentary series aired, Life Story sold over 11,000 copies in a month, while Tom Kerridge’s recipe book peaked at 10,015 copies sold the week of Black Friday, since selling 58,000 just in December. Brian Cox’s Human Universe has sold 50,833, almost doubling sales since November, as has chat show host Graham Norton’s autobiography The Life and Loves of a He Devil, up to 43,654 from 24,113. They’re everywhere. You can’t escape them. You can even set your watch by them. Every year, as the air begins to chill and radio stations begin flipping the Christmas music switch, the inevitable comes: the annual year-end “best of” lists. These titles appeared so frequently on 2014 “best of” lists that it made me wonder about the whole year-end enterprise. If the lists basically agree, do we really need so many of them? 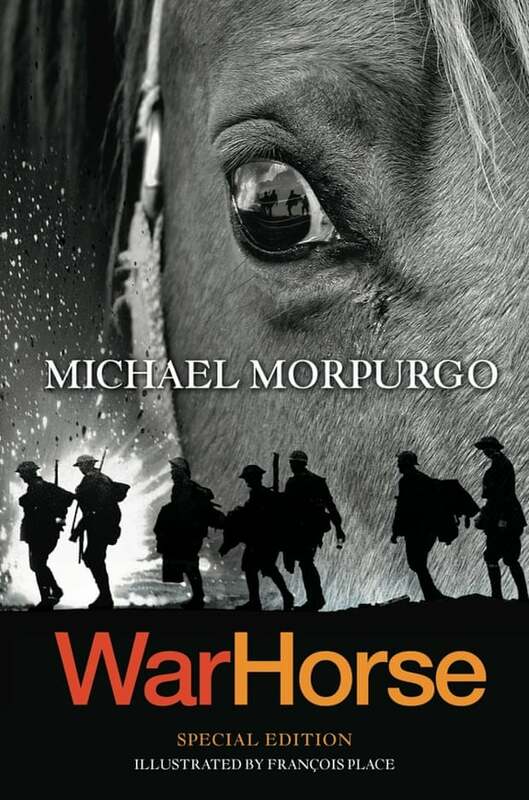 If you’ve heard of Michael Morpurgo, you probably know about his world famous bestseller turned National Theatre production, War Horse. 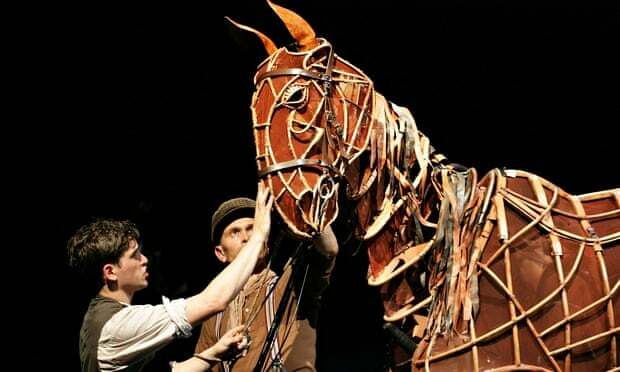 Perhaps the most famous horse on earth; Joey has been seen on stage by six million people worldwide and is now coming home to Belgium. Morpurgo is bringing the life-size puppet to two commemorative locations in Ypres today, marking the centenary of not only the first world war, but the famous Christmas truce that took place. We were lucky enough to interrupt his day to talk to him about bringing Joey home. Argentina's La Bestia publishing house brings previously untranslated top English titles, from authors such as Kurt Vonnegut, into Spanish translations. Founded in 2012, Chile's Edicola publishes new Chilean and Italian authors in Spanish, Italian, and English in both print and ebook formats. Time Out Shanghai offers a top 10 list of new Chinese books that defy cliché, while Bruce Humes lists the most influential translations of 2014. The unwinding of Osprey Publishing is complete with the announcement Monday that the company has been sold to Bloomsbury for £4.6 million in cash and stock. (Of that, £3.2 million is in cash, paid to private equity owners Alcuin Capital.) Bloomsbury says the business had sales of £7 million in 2013, over half of which comes from outside of the UK -- mostly in the US -- with almost no profit. Bloomsbury was considered a leading candidate to buy Osprey, mentioned along with Hachette UK in October. In June Osprey closed their Strange Chemistry Exhibit A imprints and the company was engaged in a "strategic review" to evaluate selling parts or all of the company. In October, they sold off Watkins, Angry Robot and Nourish to investor Etan Ilfeld. Bloomsbury's Richard Charkin says in the announcement, "Osprey is an ideal fit for our strategy of publishing for well-defined special interest markets. We look forward to working with our new colleagues in Oxford to build on this highly successful business in USA, UK and throughout the world." Their program includes Old House and Shire, and their lists focus on military history, natural history and heritage publishing. 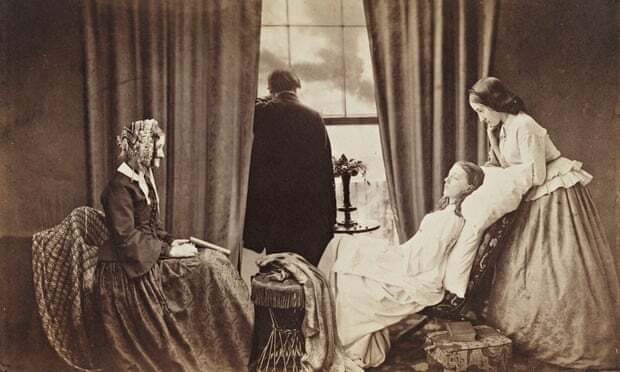 Following on from the post on your blog by Karl Stead about Margaret Scott, I’ve been meaning to email about a display the Turnbull Library has put together about Margaret and her work. The display is in one of the Turnbull Reading Rooms which close later today, and re-open on Saturday 3 January. People can see the display if they are in Wellington 29-31 December, when the Library is running a programme of events (http://natlib.govt.nz/events). The Tuesday Poem will be back sometime in January (middish I expect). I hope you all have fantastic Christmasses and New Years and holidays. Books That Would Make Great Gifts: The 'New York Times' has nine titles that work equally well as conversation sparkers and thought-provoking gifts. Wood's Picks for 2014: James Wood at the 'New Yorker' highlights his favorite books of the year. Zoella's Fall From Grace: Teen fans feel betrayed by a YouTube star whose bestselling novel was revealed to be ghostwritten. 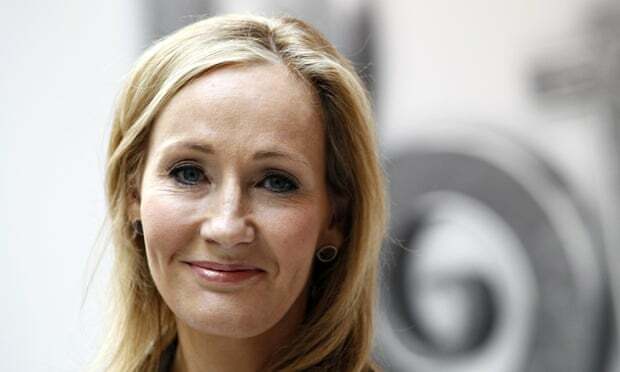 JK Rowling says that “girls are very apt to romanticise” the antihero, and reveals that she had been forced to pour “cold common sense” on the startling number of readers who fall for the arrogant, unscrupulous bully Draco Malfoy in her Harry Potter books. Rowling has been providing new snippets about the world of Harry Potter on her website Pottermore for the past 10 days, giving fans insights into everything from a “ghost” storyline that she didn’t include in the final story, to the history of the Leaky Cauldron pub. She has now unveiled her lengthiest piece of writing yet, offering a glimpse into the future of Harry Potter’s arch enemy Draco, and her own thoughts on the character. “Draco remains a person of dubious morality in the seven published books, and I have often had cause to remark on how unnerved I have been by the number of girls who fell for this particular fictional character,” writes Rowling, with a nod to the actor Tom Felton, “who plays Draco brilliantly in the films and, ironically, is about the nicest person you could meet”. 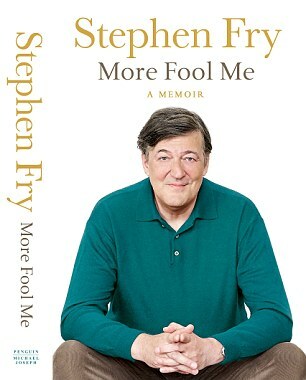 Celebrity memoirs are no longer popular as the genre has already 'peaked', according to one of Britain's leading publishers. Charlie Redmayne, UK chief executive of HarperCollins, has slashed the number of books written by the rich and famous that his company buys up. He claims their profits are now 'hit and miss' - and says even those expected to do well, written by some of the country's biggest names, are failing to match expectations. Mr Redmayne, older half-brother of actor Eddie Redmayne, told the Evening Standard: 'We're moving away from big celebrity hit-and-miss stuff. Can Wikipedia Influence the Developing World? The Tuesday Poem - a couple of days late !